Studio Dekka are working within the design team led by Untitled Practice to deliver an enhanced pedestrian route featuring new footpaths, lighting, play facilities, street furniture, shrubs and trees between Lesnes Abbey ruins and Crossness Pumping Station in Bexley, south east London. The aim of the project is to create a safe and well-used green link for residents and visitors and an improved habitat for wildlife to thrive within this unique landscape. 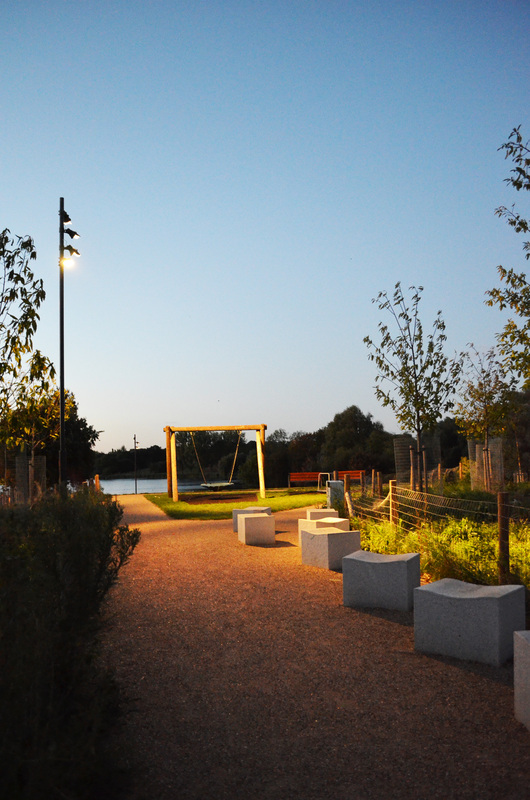 The first part of the project is Southmere Square, a new public space at the heart of the Thamesmead Estate, which opened in October 2015. With Untitled Practice for Peabody Housing Association.